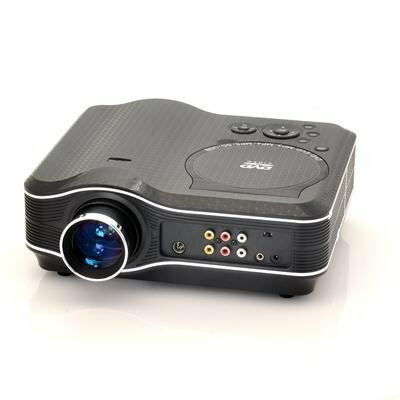 Successfully Added DVD Projector with DVD Player Built In - DVD Player Projector Combo, LED, 800x600, 30 Lumens, 100:1 Contrast to your Shopping Cart. Don’t worry about the lamp life of the DVD projector. The LED light source consumes less energy than traditional lamp-based projectors and is mercury free. It offers more than 20,000 hours of lamp life, which means it can last for more than 15 years. Additionally, because LEDs don’t get hot, you can turn off the projector and pack it up without having to wait for the lamp to cool down first. Apart from all these great features, when you consider that it’s offered at an amazing wholesale price, there’s not much left to consider. 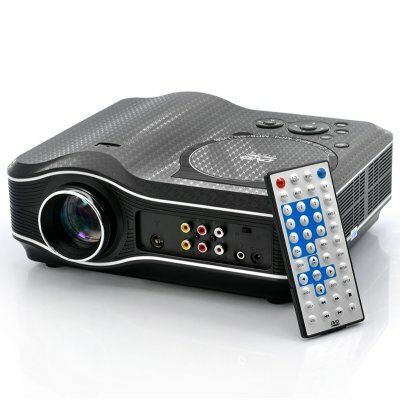 Normally you would consider a DVD Projector for rental, but with such a price, why not own this winning combo yourself?! It’s now in stock for immediate shipment worldwide. Order one today and we will express ship it out to you tomorrow. Brought to you by your source of China factory direct electronics, Chinavasion. Don't know about product, never tried the projector. The shipping by UPS was delivered with in two day of my drop-ship order. Thank you for the prompt shipping. A Great Projector!!!!!!!! must stress good for a kids room not for cinema ! Very good customer service. I will be always with you I have good time since my first registration, so for that I will be more and more time with you.